Happy new week guys! Hope you all had a great weekend. Hubby and I took Nolan to Sesame Place in Pennsylvania this weekend. It was a short getaway and we enjoyed the beautiful Christmas decorations. We returned to the hotel earlier than expected due to a heavy snowstorm. Thanks for stopping by…have a fabulous day! Hooray! This is great inspiration for my sparkly week ahead! 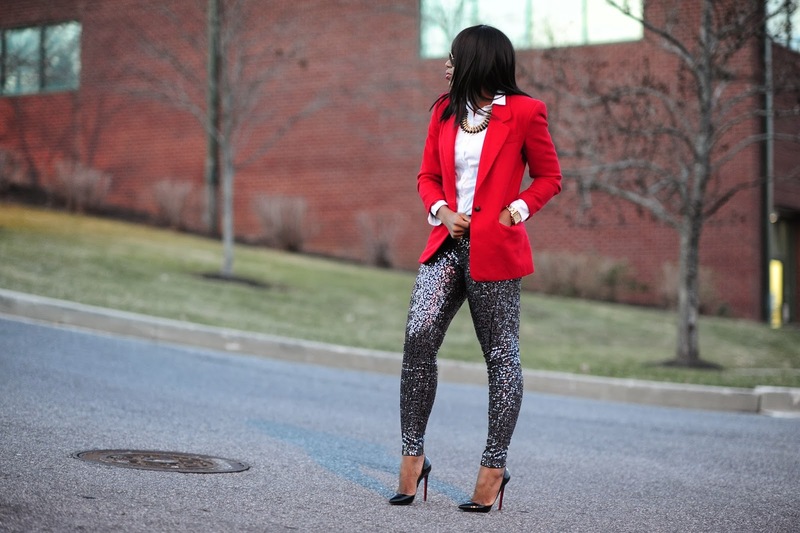 Love these leggings with the blazer! Holiday Sparkle! I love the pop of red here. Happy Holidays, Stella! Nolan's first Christmas. How exciting!! Take care. Those pants are beyond stunning! This outfit is super gorgeous! You look like you are about to walk the red carpet. You look so awesome with these pants! This look is just beyond amazing! Always on point with your outfit Stella. Love love your pants. I have sequin skirts instead of pants.. Lol but this gives me great inspiration. Gorgeous!!!!!!!!!!!!! 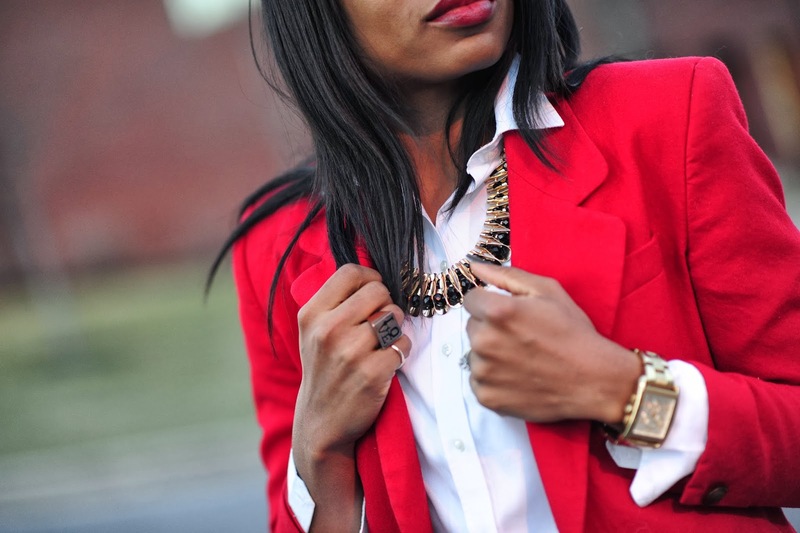 I just wore something very similar but it hasn't been posted to my blog yet. Amazing! I love the leggings...very hot! Slaying! But does it itch? I have a sequin skirt and a sequin dress that both make me want to rip my skin off. Any suggestions on dealing with that? Love it! Very festive yet classy! I just made a sequin maxi skirt and top. P.s. : That LOVE ring! I won't be surprised if you got that from Philly! Yea, the snow storm was a surprise to us too. Glad you all had fun and made it home safe. You nailed it yet again! I've fallen in love with my favourite colour (Red) all over again. I love your style! I love your sequin leggings! You look fabulous! Love love love this! You rocked it! You look fab doll! Love those pants.